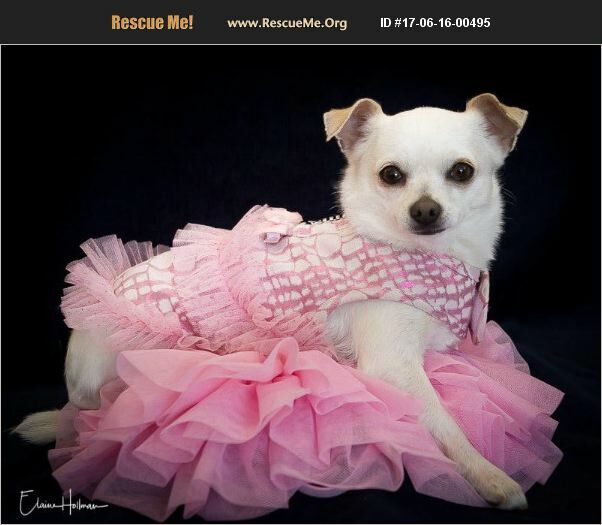 MAYA is a perky little 3 year old PUREBRED Chihuahua. She attracts LOTS of attention with her cute looks and personality. She just wants to love and be loved ... and at 6 lbs., she's the perfect size to hop in a bag and tag right along with you. Maya needs to be in an ADULT FEMALE famiiy ONLY! Her Adoption Fee is $225 and includes spay, microchip with registration and up to date vaccines. For more info, or to submit an online application, please go to www.saveasmalldogrescue.org Thanks!